A Caicos Express Airways Cessna 402 at Salt Cay Airport. Preparing a Piper Aztec PA23 for a flight to Salt Cay. Salt Cay is the most difficult to access of the inhabited islands in the Turks and Caicos. Salt Cay is part of the Turks Islands group, and is located about 80 miles east of Providenciales. Due to this distance, passenger ferries between Salt Cay and Providenciales are unfeasible. All international international flights to the Turks and Caicos land at the Providenciales International Airport (PLS). To get to Salt Cay, it’s necessary to take a domestic flight. 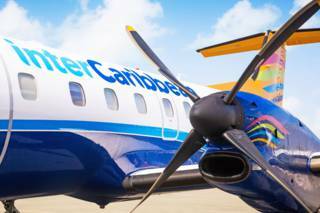 Two local airlines, interCaribbean and Caicos Express, fly to the island. 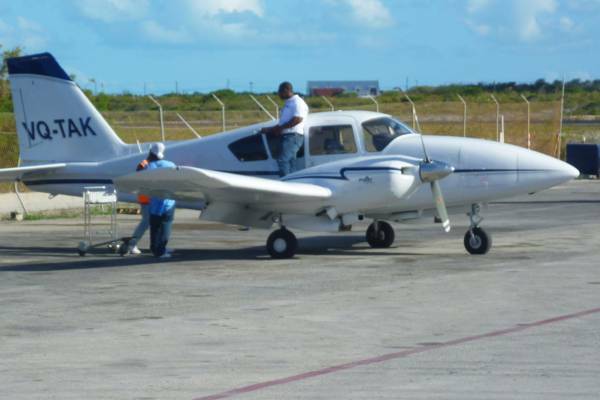 Flights are available between Salt Cay Airport (SLX) and either the Providenciales Airport, or the Grand Turk JAGS McCartney International Airport (GDT). If you're staying overnight on Salt Cay, it's recommended that you spend a day or two on Providenciales before continuing on to Salt Cay for ease of domestic flight connections, and to allow for a visit to one of the local grocery stores for supplies. If you're visiting to scuba dive, consider visiting the excellent dive sites near Providenciales as well. Salt Cay doesn’t have a large selection of shops, and the few island businesses only carry a limited range of staples and dry goods. Consider stocking up on any non-basic supplies, food, and drinks before travelling to Salt Cay. See Salt Cay Shopping and Providenciales Grocery Stores and Supermarkets. For information on connecting through Providenciales, check out the Getting to Providenciales page. You'll find passports and visas requirements (United States and United Kingdom citizens don't need a visa), flight information, local connections, and more. The Salt Cay-Grand Turk ferry at Balfour Harbour, Salt Cay. The easiest way to get to Salt Cay is via plane. 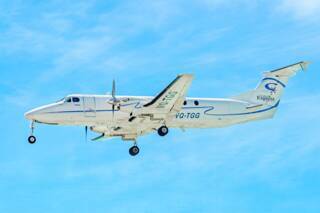 Currently both local Turks and Caicos airplines, Caicos Express Airways and interCaribbean, operate routes between Providenciales and Grand Turk. Be warned that cargo space may be quite limited as small the Piper Aztec and de Havilland Twin Otter are the typical aircraft of choice. Cost is around $180 per person roundtrip from Providenciales (2018), although discounts may be able to be arranged for large groups. Salt Cay Airport (SLX) is a small one terminal, one runway airport. The Salt Cay Ferry typically runs Tuesday, Wednesday and Friday. It departs from Salt Cay, so it’s not suitable for a day trip from Grand Turk to Salt Cay. 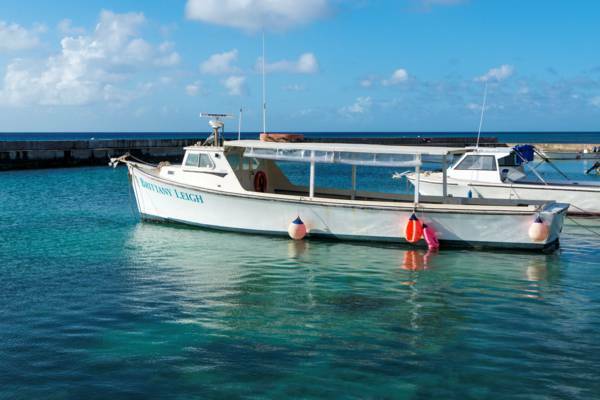 However, it is viable for day trips from Salt Cay to Grand Turk. The ferry lands at Deane's Dock on Salt Cay. Local airline offering scheduled domestic flights, along with international charters. interCarribbean Airways is the largest airline in the Turks and Caicos and offers scheduled domestic and international flights. They operate a fleet of Embraer EMB120 30 seat aircraft (2 pilots + flight attendant with onboard restroom), and Twin Otter 19 seat aircraft. In addition, interCaribbean will shortly be introducing the Embraer ERJ145 twin-jet aircraft. This ferry service is scheduled for three days per week and runs on Tuesday, Wednesday and Friday. 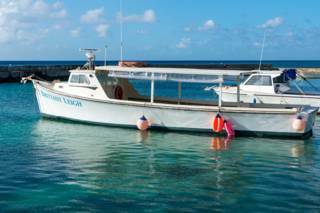 It travels between Deane’s Dock on Salt Cay and South Dock on Grand Turk. Travel time is about one hour.